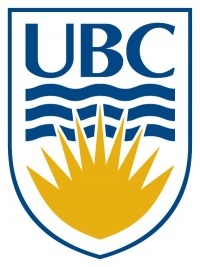 The University of British Columbia, commonly referred to as UBC, is a public research university with campuses and facilities in the province of British Columbia, Canada. Founded in 1908 as the McGill University College of British Columbia, the university became independent and adopted its current name in 1915. It is the oldest institution of higher learning in British Columbia and enrolls over 58,000 students at its Vancouver and Okanagan Valley campuses. UBC's 4.02 km2 (993-acre) Vancouver campus is located within the University Endowment Lands, about 10 km (6 mi) from Downtown Vancouver. The 2.09 km2 (516-acre) Kelowna campus, acquired in 2005, is located in the Okanagan Valley. UBC is ranked 30th in the world (second in Canada and 24th in North America) according to U.S. News & World Report 's 2015 rankings and eighth among universities outside the United States by Newsweek. UBC faculty, alumni, and researchers have won seven Nobel Prizes, 68 Rhodes Scholarships, 65 Olympic medals, 180 fellowships to the Royal Society of Canada, and alumni include two Canadian prime ministers. UBC is a research-intensive university that funds more than 8,000 projects with its $519 million research budget. NOTE: CosmoLearning is not affiliated or endorsed by University of British Columbia. This page is only intended to credit this content provider for their educational content being included on the CosmoLearning site.